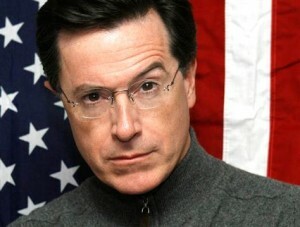 Thus, I implore you, Mr. Colbert, to rise above the calamitous quagmire of our current governance to assist young patriots across this land by granting your sacred bump to Epifiction LLC. A purely benevolent startup, Epifiction strives to release American children from the oppressive hand of government assistance that drives so many children into the open arms of illiteracy and liberal mediocrity. Simply put, Epifiction is the narcotic of reading. The state of Idaho, and many others, have for too long been drowning in costly federal interference. The result has been overcrowded classrooms, underpaid teachers and overweight children who struggle to read the only books available to them: Eight Shades of Grey, Young Readers Addition and All Good Vampires go to Bed at Twilight. Of course liberal opposition has attempted to paint Epifiction as a bastion of NRA nut jobs seeking to indoctrinate young people simply because one of our stories was originally titled, “Guns, Guns and More Guns: Why Uncle Sam will have to Pry my Assault Rifle from my Cold, Dead Hands.” We’ve since corrected the clerical error, changing the title to Wiggle Puppy. As you can see, there is no more worthy recipient of your patriotic bump. We, like you, are bleeding our precious life’s blood for reading and freedom.